The closing date for this event has been extended to 30 April. If you have applied to go to the meeting on Wednesday 5 June 2019 as a Visitor or Observer you will receive a ticket and Visitors will have both travel and accommodation for the two nights stay. 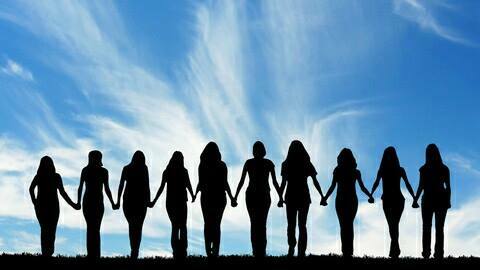 Delegates - if you are unable to attend it is your/your WI responsibility to find a someone else from your WI to attend in your place, or to pass it on to the next WI on the Linking List. Please keep us updated at all times. Please remember to get the votes for all four WIs that you are representing. Visitors and Observers – if you are unable to attend it is your responsibility to find someone else to replace you – but please keep us updated at all times. Federations have been informed today that two Resolutions will be put to the vote at the 2019 Annual Meeting in Bournemouth. Don’t Fear the Smear (20,825). Join us for a tour of the plant and first-hand information on just what we should be putting into which refuse and recycling bin! An opportunity to ask the questions to hopefully clear up some of the confusion and myths around recycling today. Friday 12 April 2019 meet up from 1.30 pm for a 2.00 pm start of an approximately 2hour tour. Refreshments will be provided. Extra date added - Friday 17 May 2019 10.30 am to 12.30 pm due to the interest in this event. email Viv Rhodes if you are interested and would like to attend. This easy 5 mile circular meadow and moorland stroll, along good but sometimes uneven paths, offers wonderful panoramic views of wooded hills and valleys along with moorland and purple heather. It also passes ancient sites such as the Nine Ladies Stone Circle, Earl Grey Tower and Rowtor Rocks. Where - Free Car Park opposite Birchover Stone Quarry on Birchover Road. Nearest post code is DE4 2BN which takes you to the centre of Birchover village, take Barton Hill then Birchover Road – the car park is on the left. Gear - Suitable clothing and footwear suggested, along with snack and drink as we will have a short break. Please feel free to fund raise in aid of your chosen charity – or 'Walk the World'. This is another of Chris Gilbert's walks – please contact her on 07711740588 or chrisgilbert123@gmail.com if you intend walking or with any queries you may have. DFWI SPORTS AND LEISURE COMMITTEE LOOKING FOR TALENT!!! You will be delighted to learn that Chrissie Booth has agreed to be nominated for the National Board of Trustees. You will have received the relevant documentation and I urge you to vote for her - obviously! Unfortunately, under Chrissie's nomination information it indicates she has no Federation nomination - this is NOT correct - she has DFWI full backing and encouragement. Lynne Stubbings, National Chairman, has telephoned me to let me know that the Federation nomination was not received and has apologised for the error, realising that Chrissie would, of course, have our full backing. All information re nominations is also on MyWI. Please ensure your members have this information when they come to cast their votes. I know you will agree with me that she would make an outstanding contribution to NFWI. 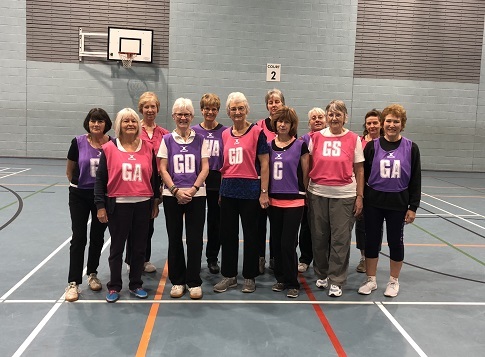 Walking Netball is really taking off in Derbyshire with new venues being set up. Anyone in the Ashbourne area is very welcome to come to the Ashbourne Leisure Centre each friday from 10.30am until 11.30am and join in with the great group of ladies who have been coming to that session. A super fun activity 🏀👍come on down and bring a friend! Please bring your sewing machine, rotary cutter, cutting mat, fabric and usual sewing kit. Tea and coffee will be provided during the day but please bring a packed lunch with you. Please send a cheque made payable to DFWI with applications and a SAE. Darley Dale. Matlock. DE4 2FT. Doors open: 10am for 10.30 start until 12.30pm. Cost: £3.50 per delegate including coffee/tea on arrival. 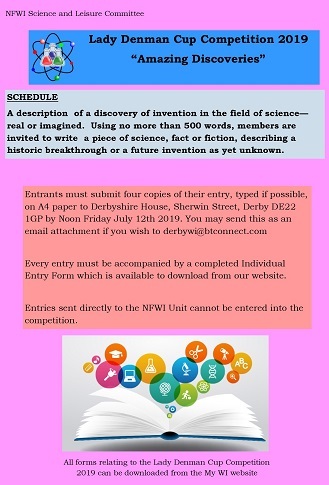 Please use a DFWI application form and send a cheque payable to DFWI including a SAE to Derbyshire House. Closing date: March 28th 2019. This is an opportunity to hear and ask questions of informed speakers on selected resolution(s) which will be presented at the NFWI Annual meeting to held in Bournemouth on Wednesday June 5th 2019. We do not yet know which of the shortlist of resolutions will be selected until sometime in February. There is ample parking space at the venue and at the car park next door. A lift is available to use for access to the Ballroom. WIs should be prepared to fund the cost of 1(one) ticket. Every WI applying for a place will be allocated a ticket. No spectators are allowed due to limitation of space. Teams are welcome to bring drinks and nibbles. Silk Shibori ribbon is a versatile base for beadwork. You will use bead embroidery techniques to turn the ribbon into a pendant or brooch using beads, pearls or crystals. Closing date Thursday 7 March 2019. 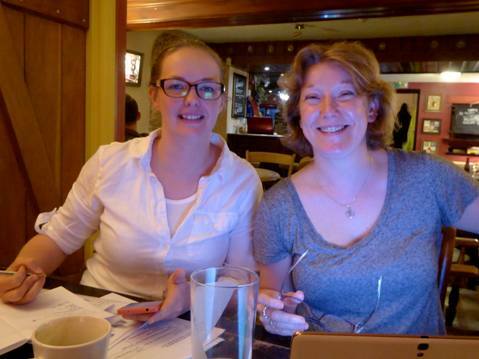 Calver & District WI is a newly reformed Derbyshire WI, here are Kat and Sarah the Secretary and President at their first Committee Meeting since forming. 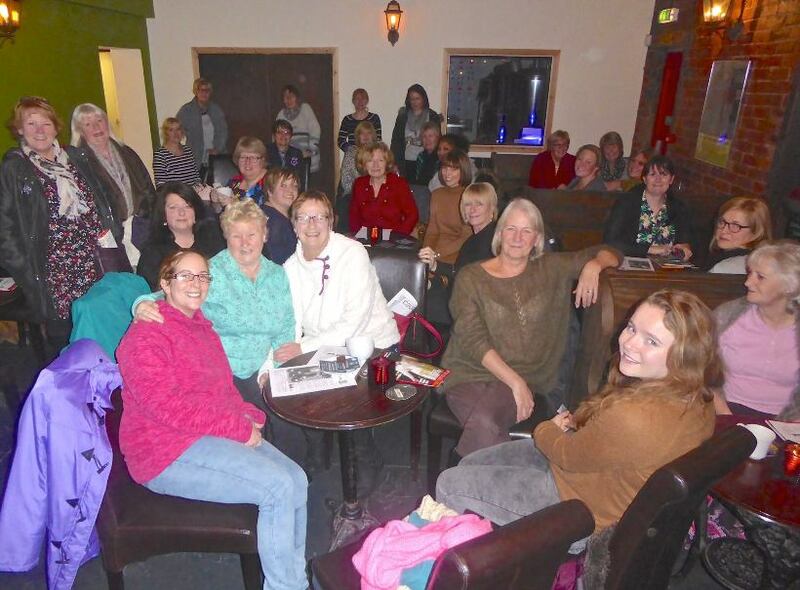 Monthly meetings will be held in the Derwentwater Arms, Calver on 3rd Thursdays each month at 7.30pm. Best wishes to them and their members. 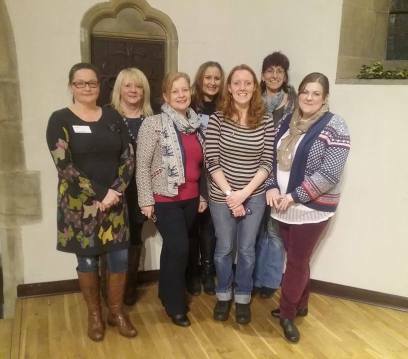 The League of Ladies WI in Glossop had their inaugural meeting on Wednesday 27 July 2016. 51 new members attended. 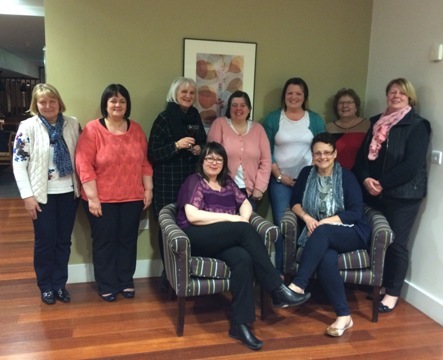 Meet members of the newly formed Woodville Whirlwinds WI - fantastic name ladies! Photographs of two newly formed WIs during 2015. 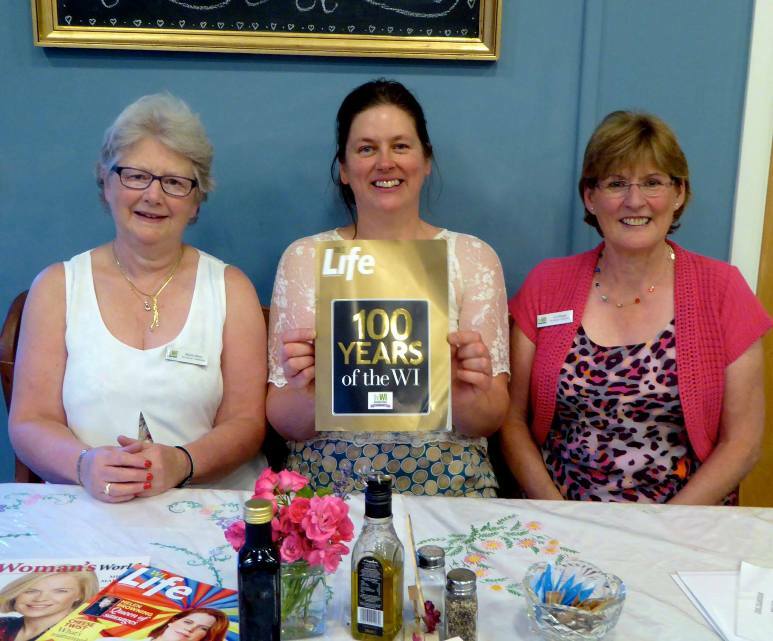 Please send any information of other new WIs from 2015 and, of course, those hopefully formed in 2016 to the editor. DERBYSHIRE HOUSE is our Federation Headquarters. The Federation office is open between 10 am and 2 pm Tuesday to Thursday. During this time the office is manned by part-time staff, if you contact us outside these hours the answer phone is always on when the office is unoccupied. We will endeavour to respond to your query as soon as possible. The Hall is available for hire, please see DFWI Hall Lettings below. New audio visual is available to hire at an extra cost, please contact the office on 01332 342596 for further information. When visiting Derbyshire House for an event, etc. please note that on-street parking is very restricted. Please display a DFWI parking pass (available from DFWI HQ) on your windscreen to prevent receiving a parking fine. The traffic wardens are trying to cut down on university students parking on the roads around Derbyshire House, so please be aware of this when visiting.